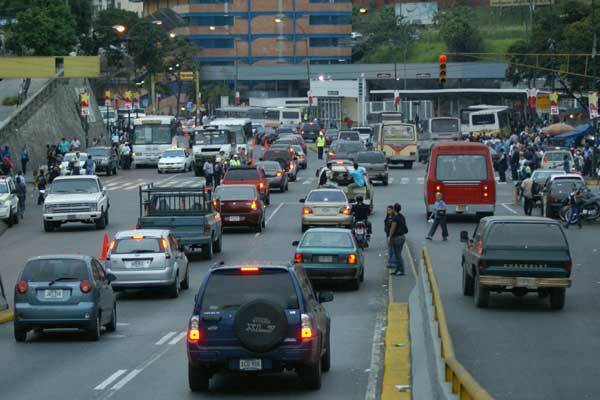 Juan Cristobal says: – A few months ago I was talking to some people at one of Caracas’ municipalities about the problem of traffic in the city, one of our pet topics on this blog. I told them that I thought Caracas was not dense enough, and that this was the cause of a significant portion of the congestion problems. The comment stuck with me. I was left with the impression that, while our opposition municipal authorities understood the importance of the traffic issue and were implementing good strategies to temporarily ameliorate the problem, they lacked the vision needed to propose long-term solutions. The conversation came back to me when I read this piece by Harvard economist Ed Glaeser. In it, Glaeser argues that, in order to be green and reduce our carbon imprint, we should all move into energy-efficient high-rises in the big cities. He estimates that moving to the suburbs to be surrounded by nature – in theory, an environmentally-friendly move – dramatically increases the carbon imprint of the average city inhabitant. If you want to be good to the environment, Glaeser argues, stay away from it and live in cities. Glaeser finds much of the added impact comes from driving. Actually, when you think about it really hard, much of the traffic comes from too much driving too. To reduce traffic, reduce people’s need to drive. Should be simple, right? Well, in Caracas people need to drive because they live far away from their places of work and their schools. In fact, the people living close to everybody’s places of work sometimes do very little working. When I lived in Caracas, I used to visit a retired aunt of mine who lived in an enormous house in Los Chorros. I didn’t have a car back then, so I would walk from the Los Dos Caminos Metro station and be there in about eight minutes. It always struck me as incredibly unfair how my aunt could have a house with a 5,000 square meter plot of land, close to a Metro station, practically in the middle of the city, and yet she lived alone. Why weren’t urban planners doing something about it? Turns out, my aunt was also the President of the Neighbors Association of Los Chorros. Time and again, she would tell me stories of how she was livid with politician Perico de los Palotes because he wanted to change the regulación in the area. It was seen as the job of Neighborhood Associations to apply pressure, influence and – gasp – even organize street protests to prevent changes like that from happening. In a “there goes the neighborhood” mentality, existing homeowners prevented urban planners from making decisions that would benefit all but harm their particular interests. This survives to this day. Think about it: the Caracas Country Club, Sebucan, Los Chorros, Altamira, La Castellana, Santa Eduvigis, La Florida. These are all places that are centrally located, and yet you see enormous houses where few people live taking up valuable space. And in the meantime, the poor schmucks stuck living in San Antonio de los Altos or Guarenas have to be in traffic for three hours. What if, instead, like in normal cities, our central locations were places where a lot of people lived? What if, instead of having a zoning ordinance in Los Chorros that allows construction of up to 2 stories, we had one that allowed up to 35 stories? We should support people’s rights to have a 10,000 square meter CCC mansion one kilometer away from Chacaíto – that’s their right. But why not tax the hell out of them? After all, if we sit and wait for more autopistas to be built, we’re gonna be waiting for a long, long time. So here’s my memo to the mayors of Chacao, Sucre and Baruta: Pico y Placa is fine, Canal de Contraflujo is swell. But unless you do something to change the entire tax and zoning framework to increase population density close to our major avenues, metro lines and public transportation lines, our city will never change. No temporary measures will do.